God bless you! 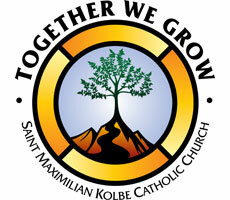 Welcome to St. Maximilian Kolbe Parish! We are so happy that you are here. The very first words that Jesus speaks in the Gospel of St. John are, “What are you looking for?” The response He receives is, “Teacher, where are You staying?” Jesus says to them, “Come, and you will see.” We here at St. Max extend to you that same invitation from our Lord, “Come and you will see.” Come and you will see the beauty of our faith as seen in our church itself and as we celebrate the Sacraments. 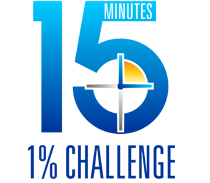 Come and you will see so many people striving to be faithful and loving disciples of Jesus Christ. Come and you will see the merciful Presence of God alive in His Church. Come and you will see that there is a place for you here at St. Max. Just as He did so long ago, Jesus asks you, “What are you looking for?” We at St. Max are eager to help you in that search as we all grow in our love of neighbor and of our good and gracious God. 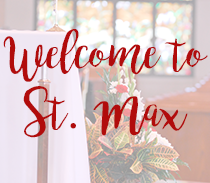 The St. Max Welcome Ministry would like to invite you and your family to a Welcome Orientation. For more information about an upcoming Welcome Orientation click here. Register now for Girls Volleyball 2019-2020! Registrations are due by June 3, 2019. Practices may begin late July and regular season runs from late August through mid October. Join us for Holy Week and the Paschal Triduum. Join our Sacramental Preparation staff for one of these required* meetings to find out how your family can begin preparing with your child for the Sacraments of First Penance/First Communion and Confirmation. God bless you! Welcome to St. Maximilian Kolbe Parish! We are so happy that you are here. Register online to join our parish community. Are You Interested in Becoming Catholic?